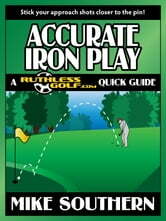 "Accurate Iron Play" is noticeably longer than other Quick Guides simply because it covers so much material necessary to good iron play. However, the information is still presented in the most direct, condensed format possible so you don&apos;t waste time reading about golf when you can be playing instead. The first third of the guide focuses on the factors that affect your shot choices and the remainder of the book focuses on the techniques for actually making those shots. The techniques for making better approach shots aren&apos;t hard to learn, and it doesn&apos;t take endless hours on the range to gain an amazing amount of control. All you need is a clear understanding of why the ball behaves as it does and how to choose and use the best iron for the job. 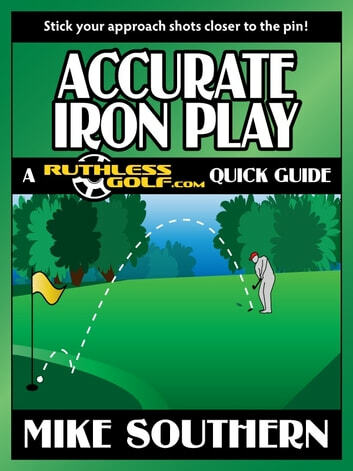 All you need is "Accurate Iron Play." Succinct tutorial on getting more out of your irons and your swing. Not a quick fix tip book, the drawings alone fire the imagination, but the ideas make you see more shots than just chunking an 8 or blading a 9. Worth the time, and possibly the practice to incorporate these techniques to expand your arsenal. I have read a lot of golf instruction books. This book is one of the best. The importance of right elbow angle concept is a game changer. My impact position has greatly improved. My greens in regulation (irons) has improved significantly.